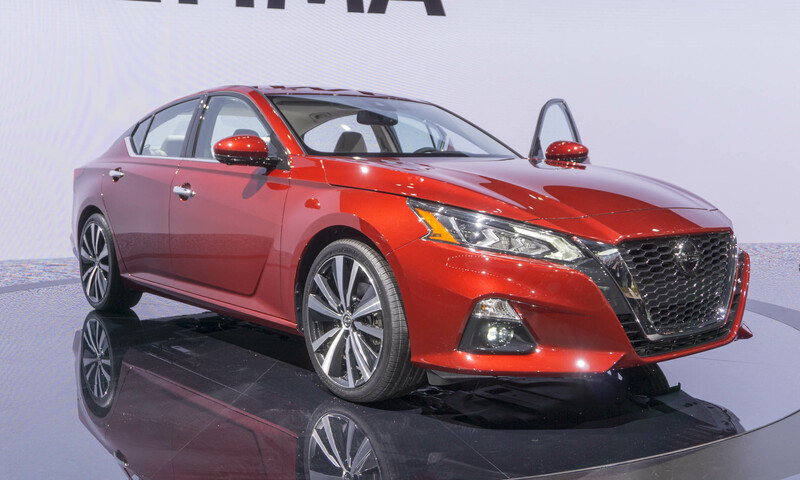 The sixth-generation of Nissan’s Altima sedan premiered during press days at the 2018 New York International Auto Show. 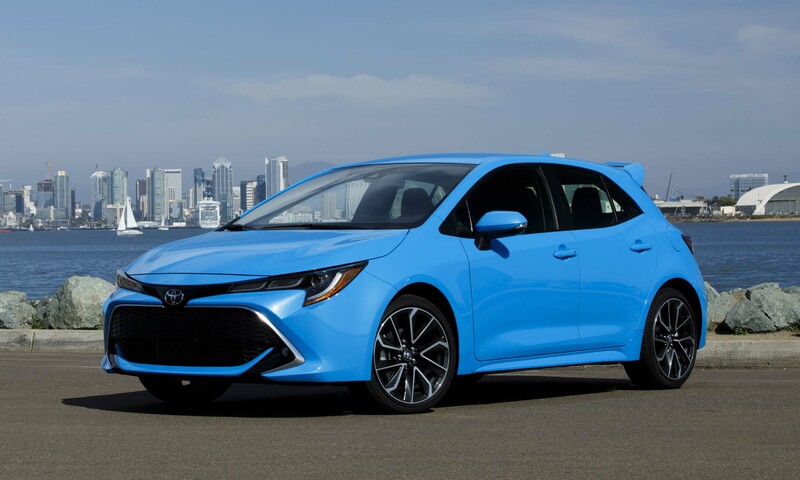 The reworked midsize sedan is lower and wider than the previous model, with a more dynamic design taking inspiration from the Vmotion 2.0 concept that debuted at the 2017 Detroit Auto Show. “Altima has been the face of Nissan in the United States, its largest market, for many years. 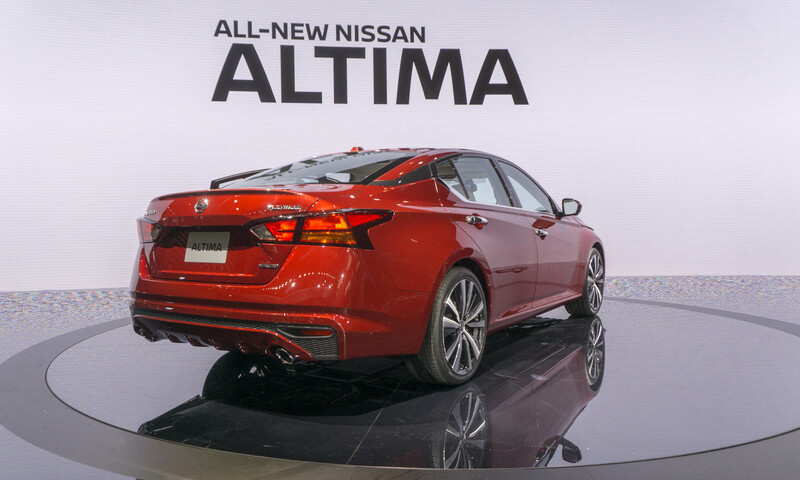 We knew we had to elevate the appearance of the new-generation Altima, so the Vmotion 2.0 gave us the blueprint moving forward with the production model,” said Alfonso Albaisa, senior vice president of global design for Nissan. 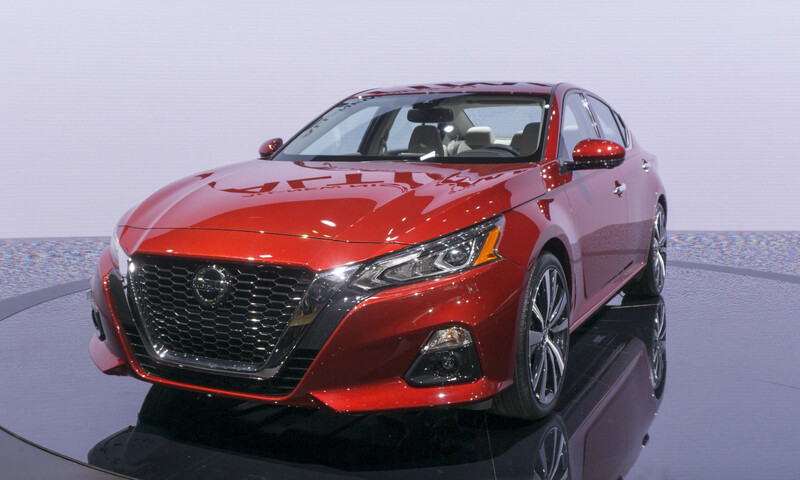 The 2019 Altima features key Nissan design elements including the V-Motion grille, floating roof and boomerang lights. The new grille is the boldest expression yet, dropping to the lower fascia and flanked by swept-back headlights. A strong shoulder line traces the upper edge of the headlight and flows to the rear of the car, while a character line sweeps up through the doors. 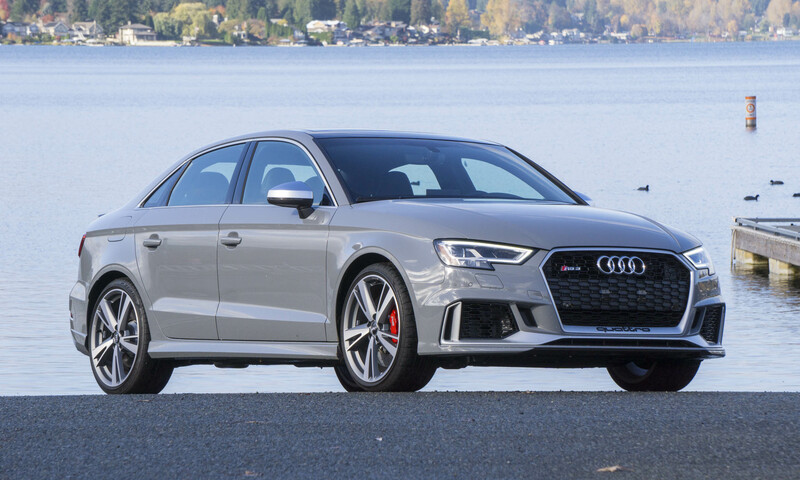 Optional exterior design elements include the V-motion grille in a dark chrome finish, LED projector headlights with signature daytime running lights, LED fog lights and a moonroof. The standard engine for the 2019 Nissan Altima is a new 2.5-liter 4-cylinder unit producing 188 horsepower and 180 lb-ft of torque — an increase of 9 horsepower over the previous model with an increase in fuel efficiency. 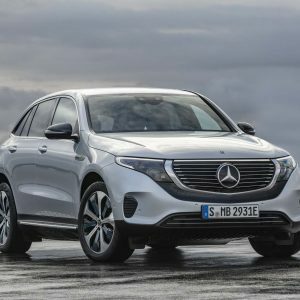 The new optional engine is a 2.0-liter VC-Turbo, the first production variable compression ratio engine that debuted in the Infiniti QX50 crossover. 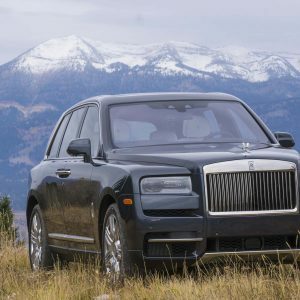 The VC-Turbo engine continuously adjusts its compression ratio to optimize both power and efficiency, producing 248 horsepower and 273 lb-ft of torque. Both engines employ an Xtronic continuously-variable transmission. 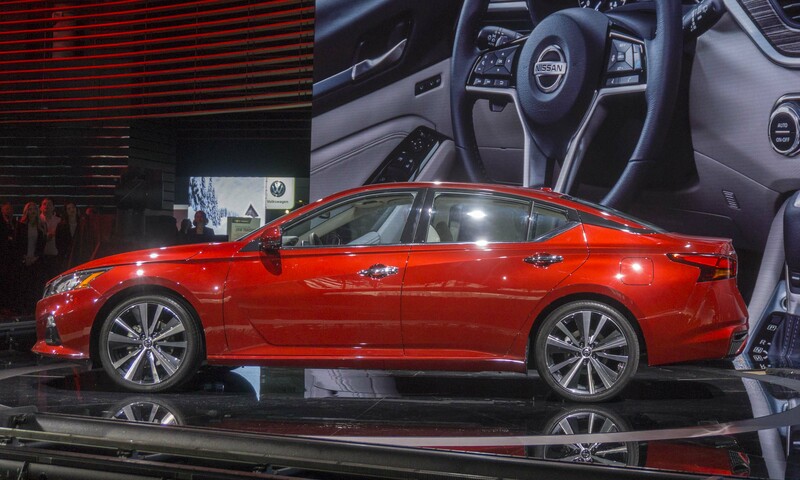 For the first time, Altima will offer Intelligent All-wheel Drive with the 2.5-liter engine. 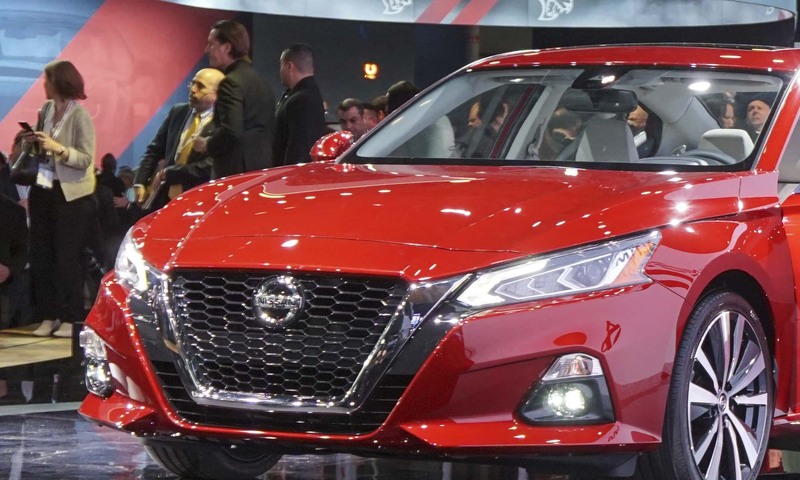 The 2019 Altima will have available Advanced Nissan Intelligent Mobility safety and driving assistance technology, including ProPILOT Assist and Safety Shield 360 with Rear Automatic Braking. Under certain driving conditions, ProPILOT Assist will help the driver stay centered in the lane; maintain a set distance from the vehicle ahead; slow, brake or accelerate according to traffic conditions; and even come to a complete stop and hold the vehicle in stop-and-go conditions. ProPILOT Assist utilizes a forward-facing camera, forward-facing radar, sensors and an electronic control module to perform its functions. This new tech is standard on Altima SV, SL and Platinum trim levels. With the addition of Rear Automatic Braking on the 2019 Altima, Nissan’s suite of safety technologies will become known as Safety Shield 360, which incorporates front, side and rear safety monitoring and intervention. 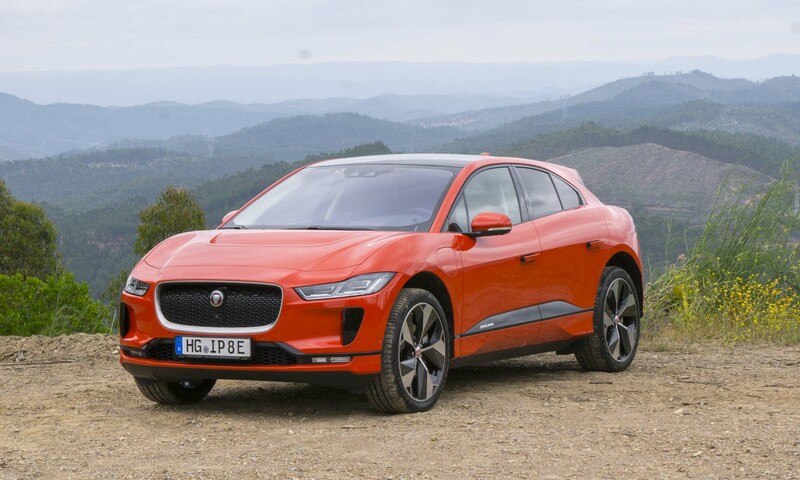 When an object gets detected while the vehicle is in reverse at low speed, Rear Automatic Braking will warn the driver with visual and audible warnings; if the driver’s braking isn’t sufficient to avoid a collision, the system will apply harder braking to prevent a potential collision. The new Rear Automatic Braking system is standard on Altima SV, SL and Platinum trims. Additional features of Safety Shield 360 include Automatic Emergency Braking with Pedestrian Detection, Rear Automatic Braking, Lane Departure Warning , radar-based Blind Spot Warning, Rear Cross Traffic Alert and High Beam Assist. The Altima’s new interior intends to evoke a near-luxury feel while offering a high level of comfort and convenience. 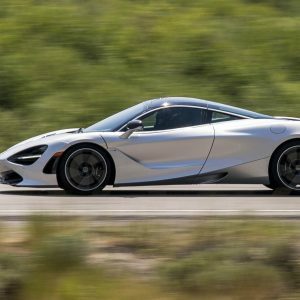 The instrument panel is layered and more horizontal with a gliding wing design, and the interior uses high contrast colors and accents depending on trim level. 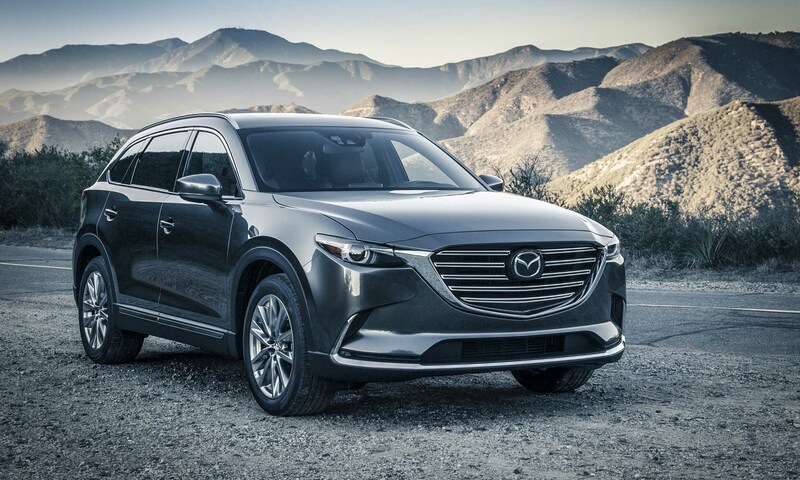 Interior amenities include a standard 7.0-inch Advanced Drive Assist Display, an enhanced NASA-inspired Zero Gravity seat design, available perforated leather seat inserts, available remote engine start with Intelligent Climate Control. 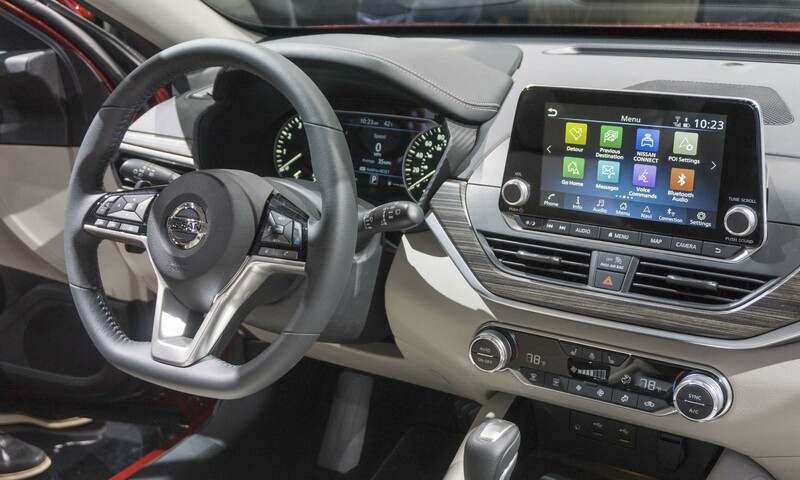 NissanConnect is standard on every Altima, with features that include Apple CarPlay, Android Auto, an 8-inch multitouch color display, a Bluetooth hands-free phone and text messaging assistant, and Siri Eyes Free/Google Assistant voice recognition. 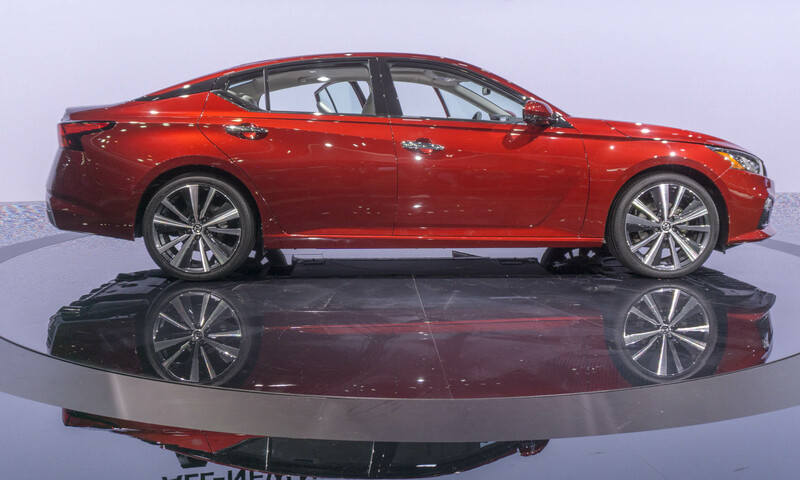 The 2019 Nissan Altima will be available in five trim levels: S, SR, SV, SL and Platinum. 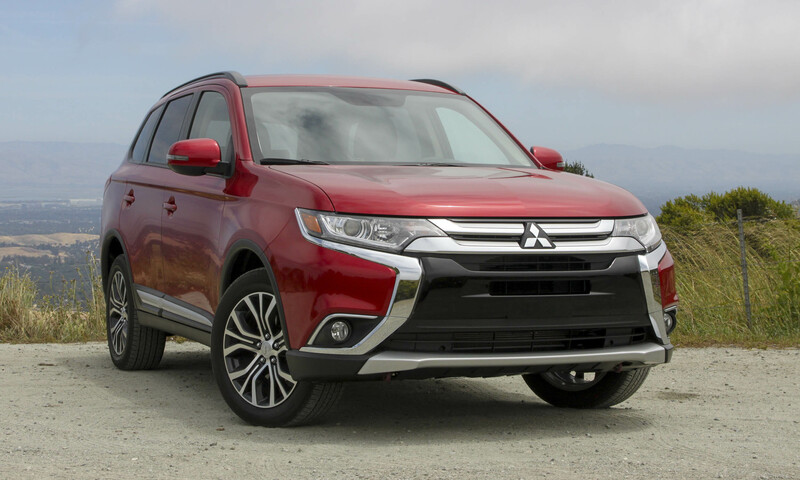 All levels get equipped with the 2.5-liter engine and available all-wheel drive. In addition, the Altima SR and Platinum are both offered with the 2.0-liter VC-Turbo engine with front-wheel drive only. A launch edition based on the Altima Platinum VC-Turbo will be offered in limited numbers with orders beginning in summer 2018. The 2019 Nissan Altima will go on sale in fall 2018 with pricing to be announced later.